Launched the old Jon boat at about 5:45 a.m. Worked the west side of the lake with a chatterbait for about 30 minutes with no luck. I worked my way to the north side and decided to change tactics. No wind, so that called for a weightless senko (watermelon). 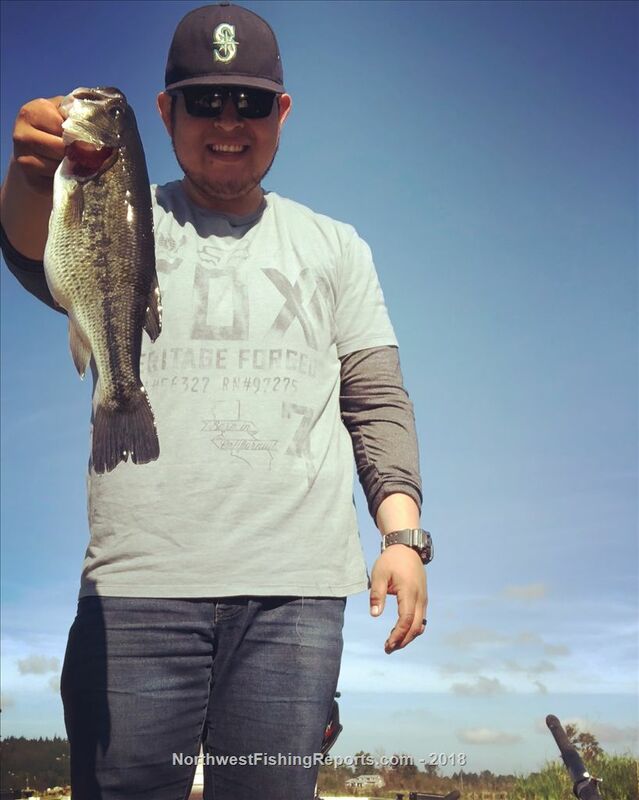 5 minutes into tossing the senko, I hooked up with a 1 pounder. After that, I caught about (6) fish between 1/2 a pound to 1-1/2 pounds. Biggest one of the day was 2.5 pounds. The majority of the fish were tight to structure. The boat launch is no longer blocked by the floating mat... finally! Hoping to get out there again soon. There are some fat girls in there and they need to be caught! Talked to a guy trolling a crankbait in the middle of the lake with a kayak and he said he caught a 5 pounder. Definitely a different tactic, but whatever works, right? View other reports from hmiranda9. Thanks for the Beaver Lake Report. I have fond memories of fishing there. On April 13, 1985 I was fishing in a canoe with my son when a dandy 5 pound 11 ounce lunker smashed my floating Rapala 11G on the surface. There was a tournament going but we were not in it. The fish was weighed, measured, thanked for the memories and released as a few of the tournament anglers watched. There is a pic on the info page in this site.